My, where has the time gone? It was over 7 years ago that I posted my top 10 UX websites, and since 7 years in Internet time is something like 50 years in actual time (Internet time is like dog and cat years, but with less fuss when a website dies) I thought that it was about time that I added some more great UX blogs to follow. 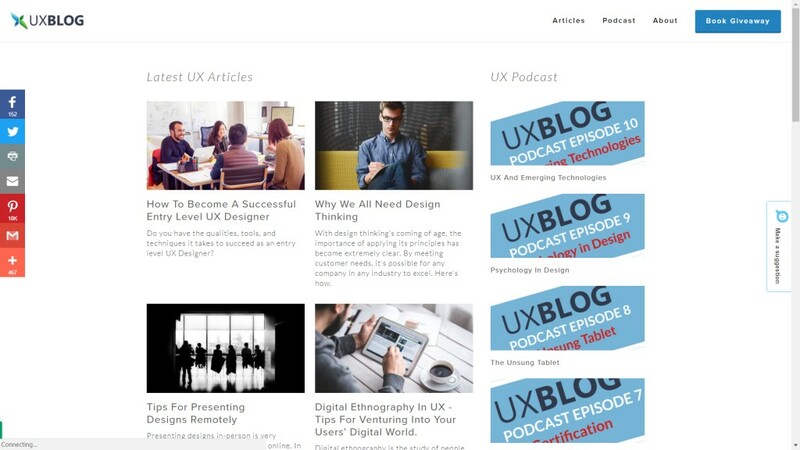 Obviously UX for the Masses is your first point of call for everything UX related, but you should also checkout these 10 great other UX blogs (and the original 10). uxdesign.cc is a curated list of great UX, usability and product design related articles. They also have a weekly UX newsletter you can sign up to. Smashing magazine is a great resource for all things design and web related. 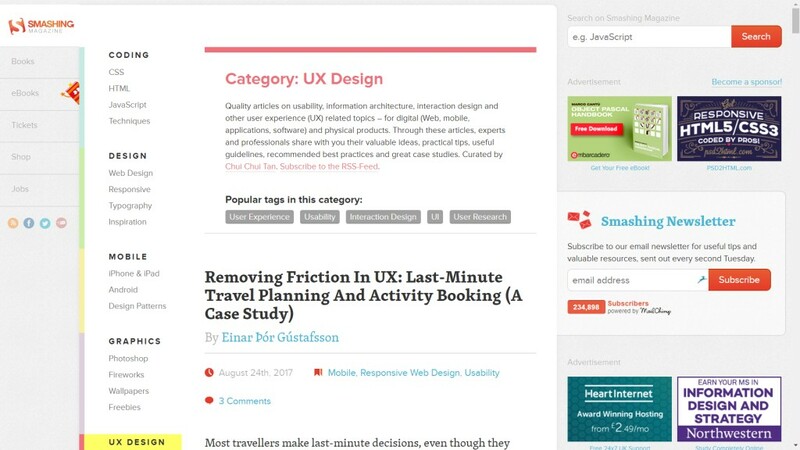 They have a UX design category stacked with UX related articles and tutorials, and have a more general fortnightly newsletter you can sign up to. 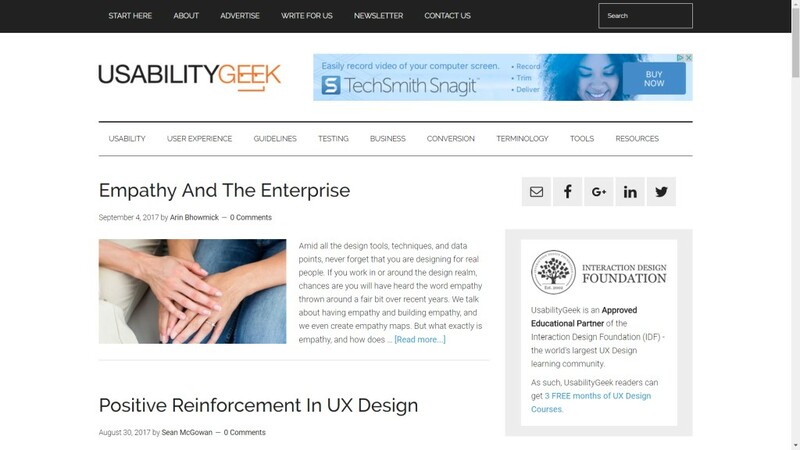 Usability Geek is a usability and user experience blog that provides practical and useful UX information, tips and resources. It’s regularly updated and offers a weekly newsletter. 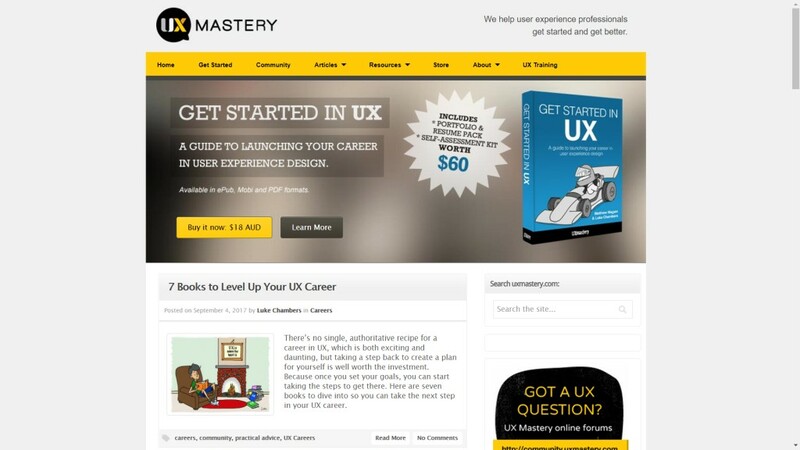 UX Mastery is targeted at UX beginners, but there’s still lots of great information and resources for even battle hardened UX veterans like myself. Along with articles and even a ‘Get started in UX’ book, there is a UX online forum and oodles of useful UX resources. 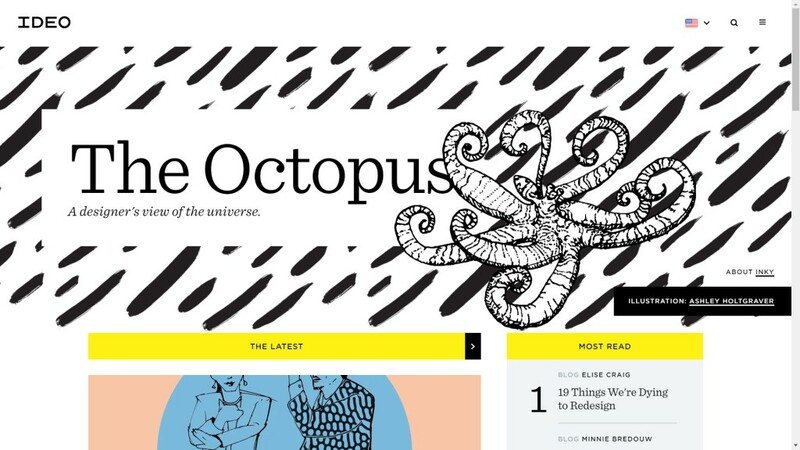 IDEO’s blog The Octopus not only has a great name (you can find out why it’s called the Octopus), but is also full of interesting articles to boot. How can you not love a blog that features an articles titled, “Are you dealing with assholes at work?“. 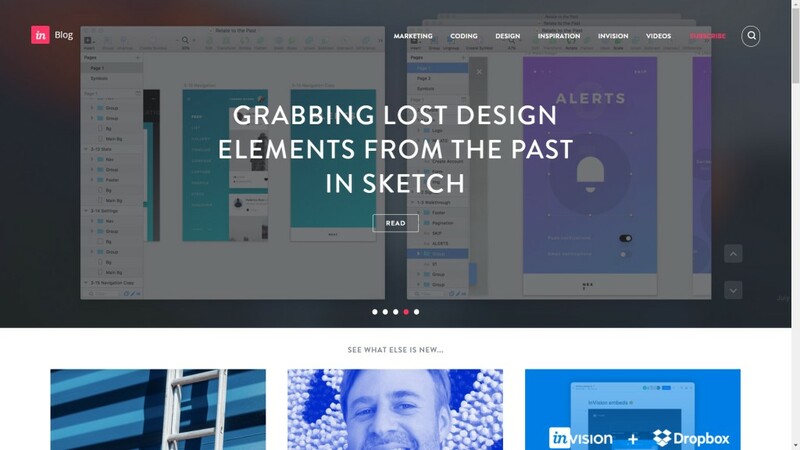 InVision offer a fantastic suite of UX and design tools. They also offer a fine blog, which unlike some company blogs doesn’t just big up their own products (although of course there is a bit of that). There are lots of articles, case studies and interviews and also a weekly newsletter you can sign up to. 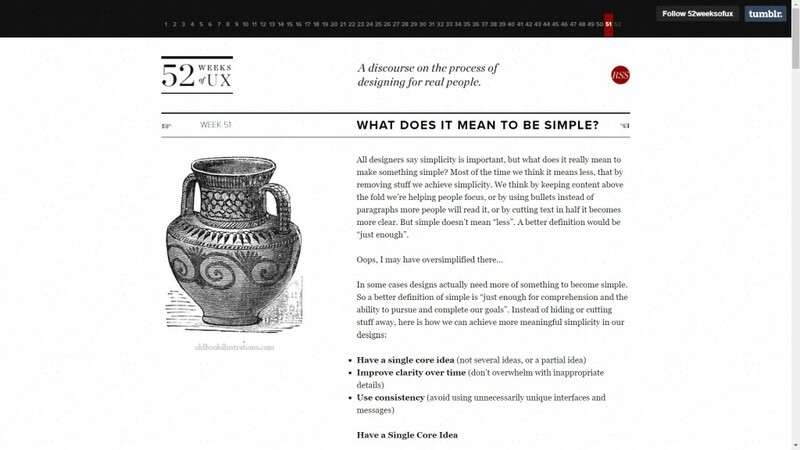 The UX blog, does what it says on the tin. 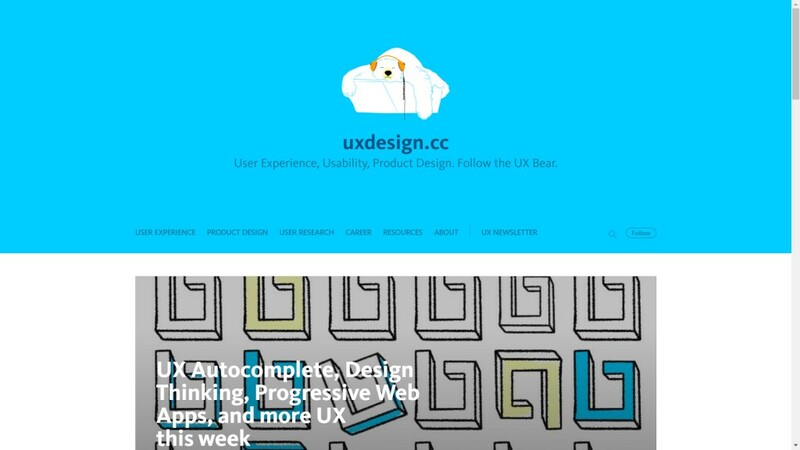 It features UX related articles, along with Podcasts and a newsletter. UX Booth claims that it is read by over 100,000 user experienced professionals. Wowzers! 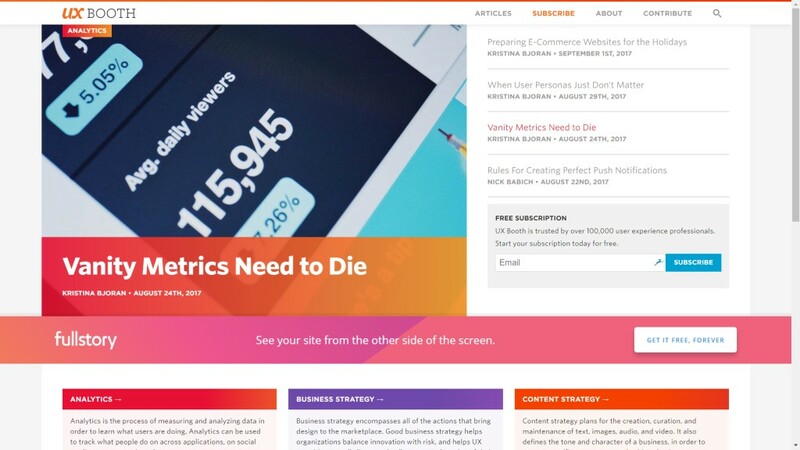 It is not only full of UX articles, but covers related topics such as business strategy, visual design and content strategy. The mighty Booth also offer a weekly newsletter. 52 weeks of UX sounds likes the world’s worst Romcom movie (no doubt featuring Bradley Cooper), but is in fact a great little UX blog. Sadly the site is no longer posting new articles, but as the title suggests it includes 52 articles covering different UX topics. Read one a week for a year, or greedily binge read them all in on go! 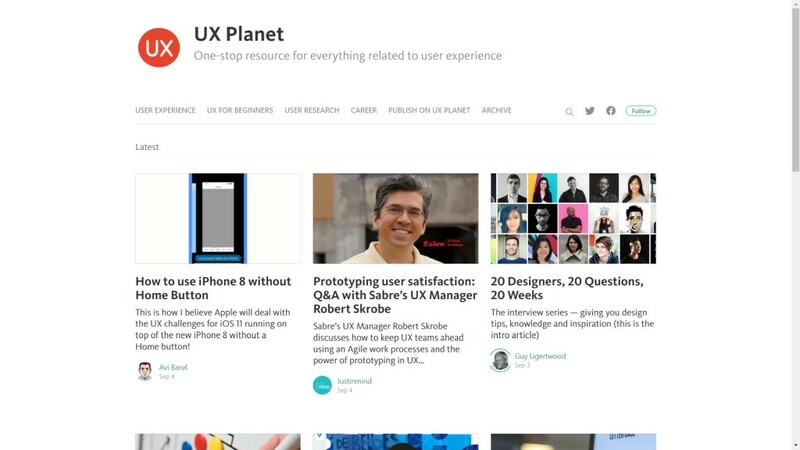 UX planet describes itself as the one-stop resource for everything related to user experience. There is scant information about the planned interstellar mission to find said ‘UX planet’, but it does at least feature lots of interesting articles covering UX design, UX research and UX careers.